Charter a private flight to the bay-side city of San Francisco using our private jet charter service. The San Francisco Bay Area, once the focus of Spanish Missions and gold expeditions, is commonly known for its liberal lifestyle and the high-tech industry of Silicon Valley. We know it as one of the most popular destinations on the west coast for private charter flights. Whether flying private to the Bay Area for business, to tour the vineyards of Napa Valley, or to explore the landmarks around the city and relaxing at one of the beautiful resorts along the Pacific coastline, we can help arrange the right aircraft and flight itinerary that best suit your needs. Our company offers the highest standards in executive and leisure travel, and our team offers on-demand private jet charter service to/from San Francisco, CA. Working with our San Francisco Air Charter Advisors gives you instant access to thousands of private planes based in the Bay Area and around around the world, and all of the aircraft we use for flights to the Bay Area are operated by FAR Part 135 or 121 (or foreign equivalent) air carriers. Enjoy the comfort, convenience and peace of mind you get from working with an air charter broker you can trust, and we’ll become your solution for luxury air travel, aircraft acquisition and private jet management in San Francisco. Call or request a quote for your upcoming flight. Our team is standing by to book your private jet, create its flight itinerary, arrange in-flight catering, luxury ground transportation, helicopter lifts and any other requests you may have – consider our San Francisco Jet Charter team your one-stop shop for all things private aviation in the Bay Area. The Bay Area and Silicon Valley is one of the busiest areas for business and private aviation along California’s West Coast. Although there are several airports within 50 nautical miles, many of them are located on the east side of the Bay, and require long drives to reach the city. Helicopter charters can be arranged to quickly transport you from Oakland, San Jose, Hayward, and other airports surrounding the Bay Area. Charter a private private to San Francisco and gain access to aircraft located around the world for your flight. Our global network of approved operators provide more than 10,000 planes you to choose from, and every aircraft is operated by FAR Part 135 or 121 (or foreign equivalent) air carriers and operators. Charter a Phenom 100, Phenom 300, or Pilatus PC-12 for short flights within the Bay Area and along the West Coast; rent a Citation X, Gulfstream G280, or Legacy 500 for party flights to Las Vegas or business trips to Houston, Chicago, or Dallas; choose a Challenger 604, Falcon 2000/EX/LX/LXS, G4, G5, or any Global series long range jet for intercontinental and transoceanic charters. We also have access to regional and VIP airliners in a variety of configurations for executive and business groups, sports teams, special events, and more. Make sure to visit our aircraft gallery to see all of the private planes available for your trip. No matter what the reason you’re flying, our Jet Charter San Francisco team will provide a variety of private jet options based on the goals of your trip, with free quotes with the most competitive hourly rates. 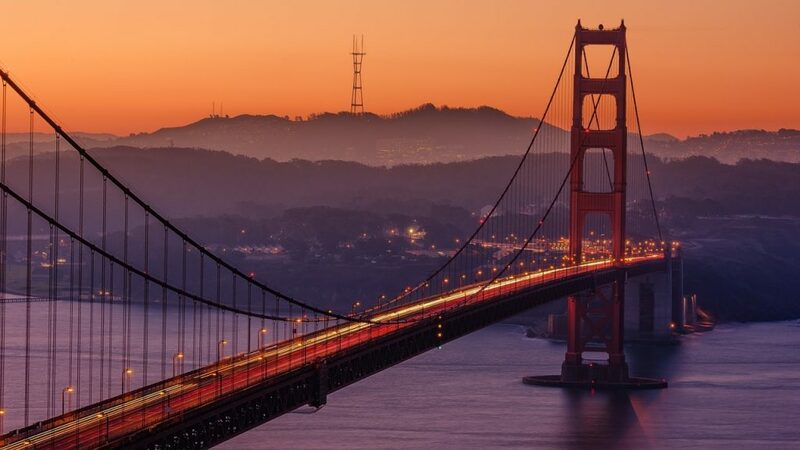 Fly private to San Francisco, the city known as the gateway between the East and the West, and home to one of the largest metropolitan areas along the west coast of the United States. 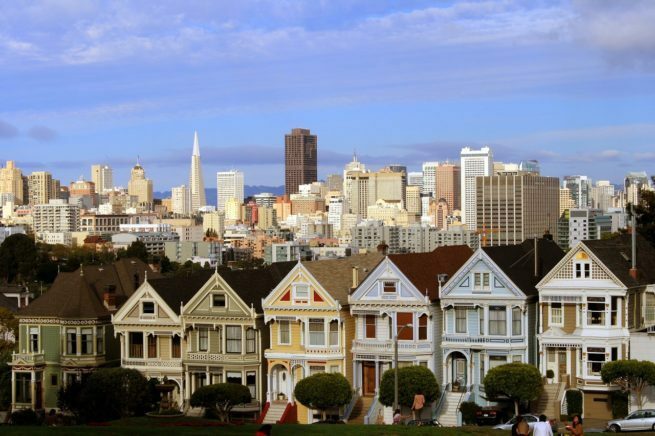 San Francisco is a major city along the West Coast, and it’s the crown jewel of the Bay Area. The city is renowned for its liberal community, steep hills, cable cars, Victorian architecture, scenic landscapes, summer fog, and incredible ethnic & cultural diversity. There are 11 official governmental districts in San Francisco, and each district features unique, distinct culture offerings. Despite being huge in terms of things to do, the city itself is quite compact, situated at the tip of a peninsula between the San Francisco Bay and the Pacific coast on a 7 square mile area – the city itself is only home to just over 800,000 residents, while the SF metropolitan area is home to over 7 million people. Hire a private plane for a charter flight to San Francisco, one of the most culturally diverse and liberal cities in the United States. The iconic Golden Gate Bridge is an art-deco designed suspension bridge connecting San Francisco County to the North Bay area of California. The bridge opened in 1937, and spans the Golden Gate Strait, a mile wide channel between the San Francisco Bay and the Pacific Ocean. If you have the chance, drive the Golden Gate Bridge over to Sausalito early in the morning, when the bridge is often cloaked entirely in fog, making the next suspended cable ahead barely visible. Cable cars provide easy access around the city, and panoramic views reward those who take the climb up Coit Tower. The area surrounding Fisherman’s Wharf is home to some of the best marine cuisine on the Pacific Coast, and the area surrounding Pier 39 is covered in shops, bars, cafes, and even sea lions. No matter what you decide to do after your private flight, our team is here to make sure you get there and comfortable and conveniently as possible. From gourmet in-flight catering and luxury ground transportation, to any other requests or amenities you’d prefer – discuss your goals for your upcoming flight with one of our air charter brokers, and they’ll review all of the potential options for your trip. Half Moon Bay is a seaside community on the peninsula of the Bay Area. When flying private to the Bay Area, one of the airport options available close by will be (HAF) Half Moon Bay Airport, located along the Pacific Coast about 20 miles south of SF. Visitors to Half Moon Bay can choose from luxury hotels such as The Ritz-Carlton, Seal Cove and Oceano lining the beaches, perfect for unwinding along the coast. Golf is in full swing at Half Moon Bay Golf Links, and you can witness the migration of grey whales on a whale watching charter. If you’re here for the sights and sounds of the city, Half Moon Bay is only an hour drive from almost anywhere in the Bay Area. A private charter flight to San Francisco leaves you surrounded by a wealth of luxury resorts and five-star hotels that compliment your flight. The majestic sea-side resort of the Ritz-Carlton, Half Moon Bay overlooks a pair of championship golf courses along the beautiful Pacific coastline. 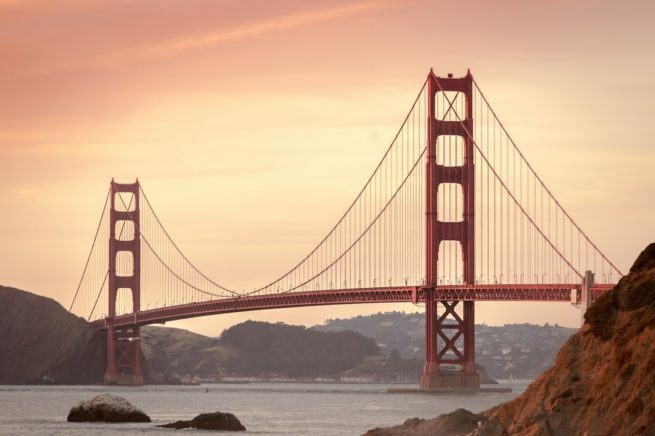 Panoramic views of the city and the Bay Bridge can be had from the W. The Omni is a five-star hotel is located near the Golden Gate Bridge and set in a historic bank building. Occupying the top floors of a 48-story building, the Loews Regency is a luxury hotel centrally located in the financial district. Cross over the Golden Gate Bridge and stay on a former military base at the upscale Cavallo Point Lodge in Sausalito. The waterfront city of Sausalito is on the opposite end of the Golden Gate Bridge from SF. One of the more popular tourist activities while in town is to rent a bike and ride over the Golden Gate Bridge to Sausalito. If you arrive in time for lunch, make sure to head down Caledonia Street where all the best restaurants, cafes and shops are found. In fact, the town of Sausalito has more fine restaurants than one would expect from a town of its size. If you’re hungry for it, chances are there’s a Sausalitonian restaurant serving it up. After you’ve filled up, head out to the Muir Woods National Monument, the world’s most-visited redwood park in the world featuring hiking trails around redwood tress up to 1,200 years old. Air Charter Advisors utilizes the following airports to fly clients privately to/from San Francisco, California and neighboring areas of the Pacific Coast. Request a Quote or give us a call at 1-888-987-5387 to speak with one of our San Francisco Jet Charter agents for your next luxury vacation, business trip, or special event.